As a car slowly drives toward the camera, it knocks over a dozen chairs placed in its path before it comes to a halt. Lieutenant Chad (played by Stephen Spinella) steps out of the trunk, approaches the audience, and in the very first scene he reveals the punchline and purpose of the film you’re about to watch. This, he tells us, is an “ode to ‘no reason.’” This weekend’s film recommendation is Quentin Dupieux’s Rubber (2010). Whether you enjoy this film is going to be completely determined by your tolerance and appetite for absurdity. 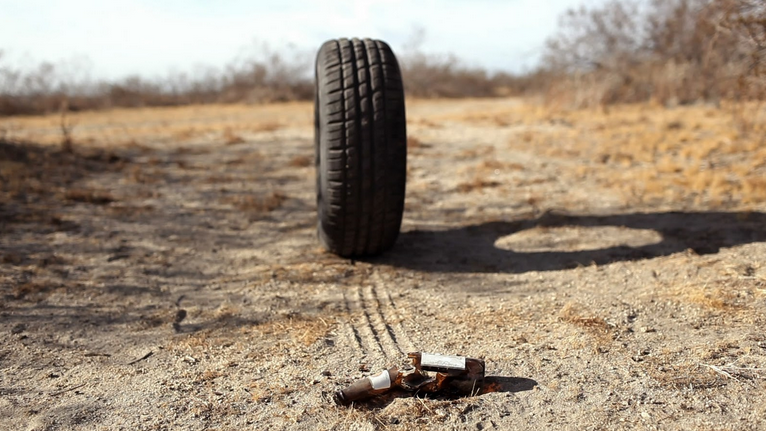 A rubber tire, played by Robert the Tire (no, I’m not kidding), mysteriously acquires life after a period of slumber in the desert. Upon waking, its newfound ability to move freely inspires curiosity, wonder, and a fascination with the world’s vastness. It learns quickly that this is a world of beauty and of fragility; much like a child’s interest with the way a dinner plate will break into pieces when dropped on the ground, the car tire playfully explores the way a plastic bottle will crush under its weight as it rolls along its way. We aren’t the only audience members watching the show. A group of gullible tourists joins our enjoyment of the spectacle from afar. But neither do they deserve to be called audience members, nor do they deserve status as members of the cast. Theirs is a peculiar relationship to this story: the plot continues only because they are watching, as though their attention is what drives the plot; on the other hand, they will intervene when the story begins to go off-track. The audience-within-the-spectacle conceit therefore disrupts the rules of movie-making twice over. First, they flagrantly disregard the fourth wall, and they do so for ‘no reason’ that’s discernible. Second, they reverse an established premise of story-telling: the story isn’t supposed to exist because we watch it, as happens here; rather, the story’s universe is supposed to exist in fiction all along, and we merely happen to view but one chapter in an ongoing fantasy. It makes no darned sense. Irrespective of whether you buy the SchrÃ¶dinger’s cat premise, Rubber violates many of the rules of story-telling. 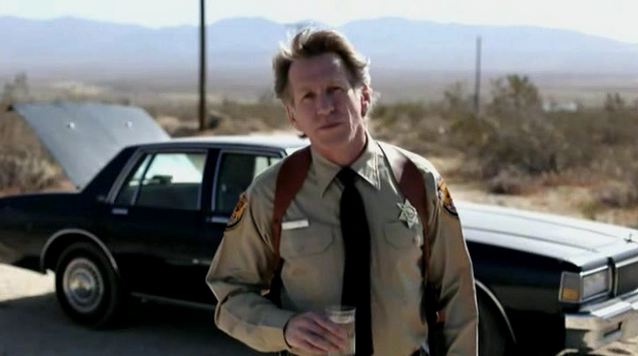 Just as Lieutenant Chad deliberately abuses the rules of chess,Â RubberÂ up-ends the rules of fiction both knowingly and playfully. Rules, you see, are for the pitiable wretches who stand on silly distracting formalities like purpose and sense and consistency, when this is a world that rejects all three.